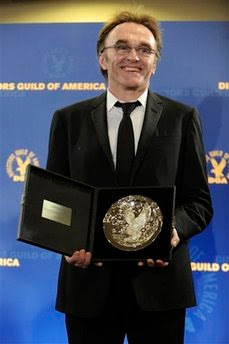 Danny Boyle has one the Director's Guild of America award for Slumdog Millionaire. It looks like Oscar is all but inevitable. Please tell me your at least a LITTLE sick of Slumdog winning everything. PLEASE Matt. Eh, not really. Considering it's the only thing in the mix that I really think deserves it. I am also not sick at all of the continue SLUMDOG wins. It's simply one of the best films of the year!